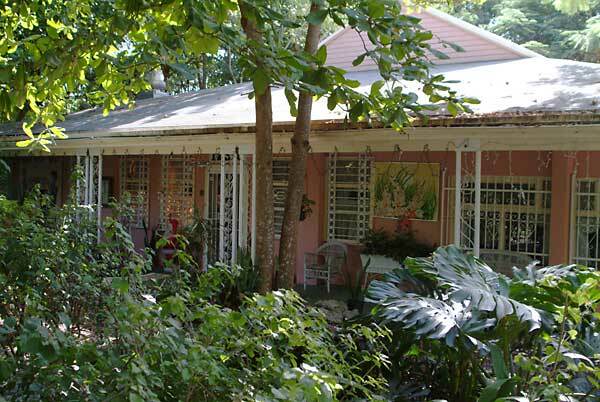 Cauley Square provides a scenic and oasis-like environment within Miami-Dade County's sprawling metropolitan area. 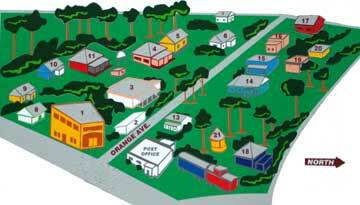 The village is conveniently located one block west of US1 at the doorstep of South Dade's Redland District. When Flagler’s railroad reached Goulds in 1903, William Cauley could easily pack his tomatoes and ship them north on a daily basis. This millionaire farmer and businessman developed a series of warehouses and offices, a bar and grill and residences within a ten acre plot along side the railroad tracks. Many of the small wooden homes still standing were hand built by pioneers of South Dade in the early 1900’s. Today, Cauley Square is a delightful combination of old Florida shops, antique and arts and crafts stores and a famous tea room. This artisan village is the inspiration of the late Mary Anne Ballard who converted this aging Goulds apartment building and a group of century-old dwellings into a unique shopping and dining experience. Heavily damaged in 1992 by Hurricane Andrew, Cauley Square is now restored to its past glory with beautiful pathways through the wooded areas, fountains, statues, music emanating from hidden sources and beautiful plazas thanks to owner Frances Varela and her talented staff of property managers. Frances purchased the ten acre property in 2001 and has made wonderful improvements to all the common areas and brought in many interesting and unique businesses to her collection of shops. Cauley Square is a popular location for weddings, with a lush outdoor plaza of fountains surrounded by tropical foliage. The Tea Room has been a perennial favorite since it opened in 1979. (Call 258-0044 to make a reservation). Enjoy lunch here with friends in a delightful atmosphere and treat yourself to great soups, salads, hearty specialties of the house and superb desserts. The Village Chalet offers great lunch specials and is a wonderful place for a special dinner date. 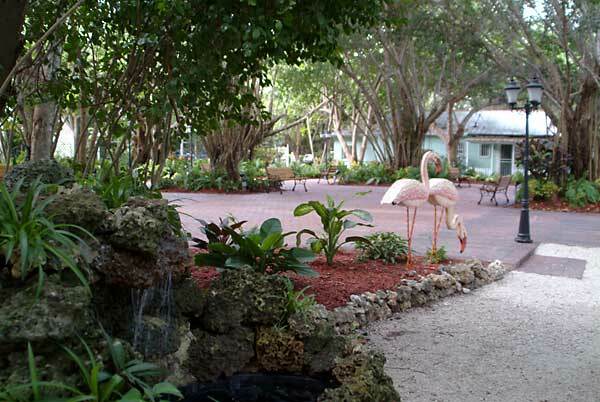 Cauley Square features live music on the weekends, as well as pony and carriage rides. Park your car in a shady spot and walk around. You’ll be delighted with the rustic setting and friendly atmosphere as an appropriate start to your Redland Riot tour down south. The open courtyard and pathways conect all the small shops.